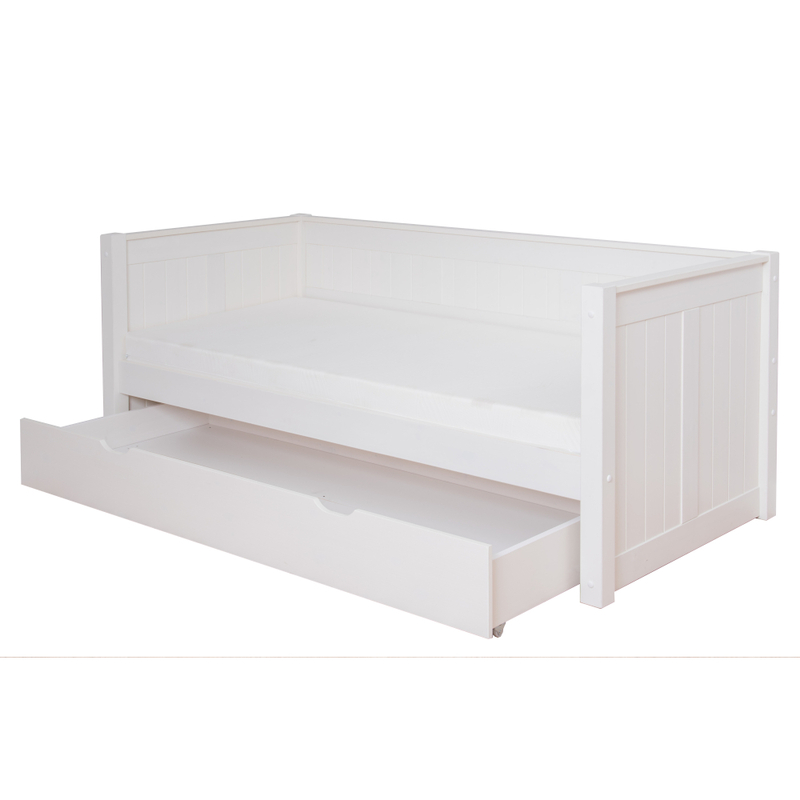 Beautiful day bed with attractive tongue and groove details in headboard and footboard. Make the bed into a sleepover bed with a super comfortable foam mattress. 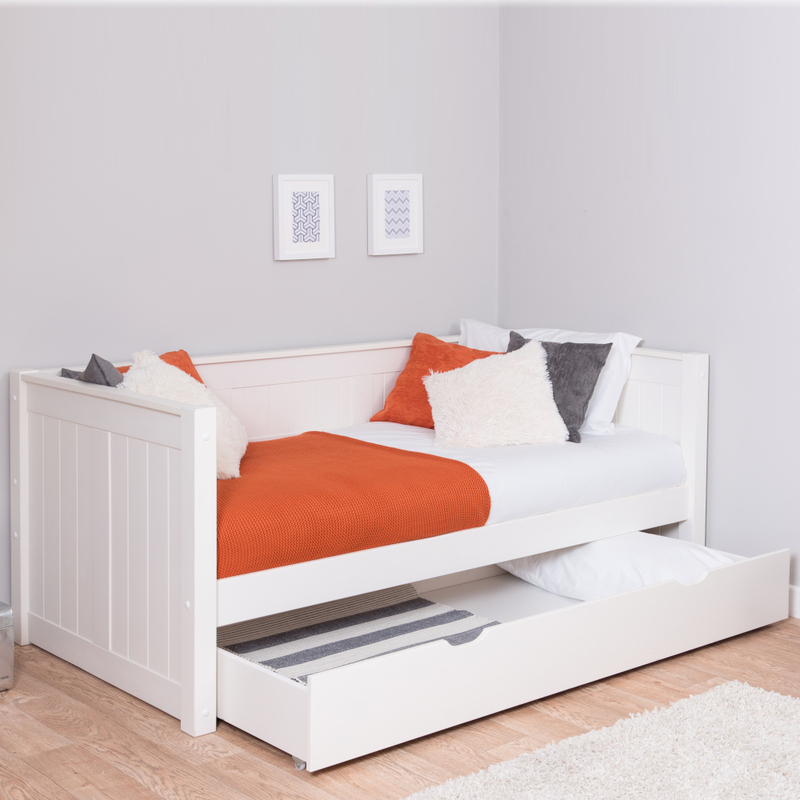 Includes the Classic Day Bed Frame with a Trundle Drawer.